When selling your Hendersonville, NC home you want to be sure that the process is as stress free and profitable as possible. The right decisions can go a long way with getting the results you desire. To save money, many people think it best to sell their home themselves without the services of a Realtor. However, the For Sale by Owner (FSBO) method can end up costing you more money than the fees for good real estate agent. 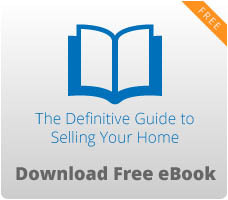 When selling your home you want as many potential buyers to view your home as possible. The reason is simple. The more people interested in your home, the more of a chance you will receive your asking price. If there is not a lot of interest in your home, people will place bids well below your asking price because they do not have anyone competing for the property. When homeowners sell their home on their own, their property is not privy to a placement on the MLS listing. Most people who are seeking homes to purchase do so by searching MLS listings. The only way to have your home connected to an MLS listing is by signing with a real estate agent. Without the MLS listing 90% of potential buyers will not see your property. This is one of the biggest benefits of having an agent. It is also one of the best ways to get your asking price. Since you have to work and handle other tasks, you may not be available to show your home to potential buyers at a moment’s notice. This could affect how fast your home gets sold and also cause you to lose potential buyers. When pushing to sell your home and receive the asking price, you want to be as accommodating to potential buyers as possible. After all, you are asking them to make a huge investment into your property. You may want to ease the process for them so they will not seek other options. A real estate agent will be available a lot more to show your home and handle other tasks associated with the sale. With a sales agent, more people will be able to physically view your home as opposed to waiting until times you are free. Selling a home is complicated. There is no way around it, and your home is most likely the largest investment you have. Navigating the complicated process of home sales and all of the fees attached is easily facilitated by a Realtor. Oftentimes homeowners are emotionally attached to their homes and for good reason. Utilizing a third party will not only afford peace of mind, but also protect your largest asset. 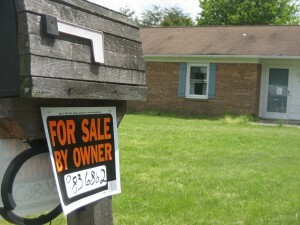 The FSBO method of selling your home will save you money by not having to pay a commission. But the money you will lose because of the lack of exposure of your property and time spent making yourself available to show it will be far greater than a Realtor’s commission. A good Realtor is worth the investment.